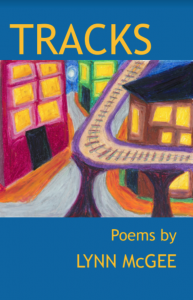 Lynn McGee (Bronx, NY) is the author of the poetry collection Tracks, forthcoming from Broadstone Books in 2019; Sober Cooking (Spuyten Duyvil Press, 2016), and two award-winning poetry chapbooks: Heirloom Bulldog (Bright Hill Press, 2015) and Bonanza (Slapering Hol Press, 1996). 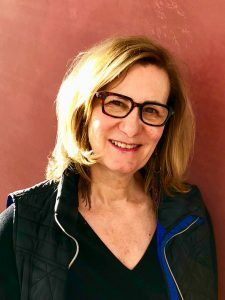 Lynn is on the advisory board of the Hudson Valley Writers Center and is a co-curator of the Lunar Walk Poetry Series in NYC, along with Gerry LaFemina and Madeleine Barnes. Her poems are forthcoming as of Fall 2018 in the American Journal of Poetry, Lavendar Review and Glassworks, and have appeared in Cordella Literary Magazine, Potomac Review, The American Poetry Review, Southern Poetry Review, Storyscape, In From the Margin, Ontario Review, Phoebe, Literary Mama, Painted Bride Quarterly and many others, as well as anthologies including Like Light, 25 years of Poetry & Prose by Bright Hill Poets & Writers and Rabbit Ears: TV Poems. Lynn earned an MFA in Poetry at Columbia University, School of the Arts, where she held merit and teaching fellowships. Today she is a communications manager at Borough of Manhattan Community College, The City University of New York and lives in the Bronx, New York. Bertha Rogers (Treadwell, NY) is a poet, visual artist, and educator. 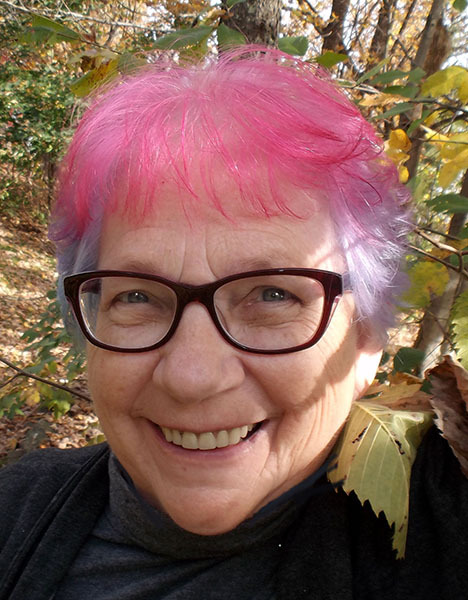 Her poems appear in literary journals and anthologies, and her poetry collections include Wild, Again (Salmon, Ireland, 2019); Heart Turned Back (Salmon, Ireland, 2010); Even the Hemlock:Poems, Illuminations, Reliquaries (2005); and several chapbooks. Her translation of the Anglo-Saxon epic poem Beowulf was published in 2000, and her translation with illuminations of the Anglo-Saxon Riddle-Poems from the Exeter Book, Uncommon Creatures, was published in 2019. She has won writing and visual arts awards and residency fellowships to the MacDowell Colony, Hawthornden International Writers Retreat, and others. She has received several NYSCA Decentralization and NYFA grants for her interdisciplinary work, including 2014 and 2016 awards for her Natural Catskills series, “The Wild Ones: Creatures of the Catskills.” She has edited more than 100 poetry and visual arts anthologies, and her writings on teaching and cultural diversity in arts education have been published in Open the Door, Education Week, The Poetry Foundation, and others. In 1992, with her late husband, Ernest M. Fishman, she founded Bright Hill Press & Literary Center of the Catskills (www.brighthillpress.org); she retired as executive director in 2017. She serves as Poet Laureate of Delaware County. Her website is www.bertharogers.com.